New York’s Chinatown has a century-old produce distribution system that supplies the city with more than 200 types of extremely low-cost fresh fruits and vegetables that are sourced from hundreds of small- and midsize biodiverse farms and distributed to a network of vendors and restaurants. Yet this remarkable supply chain has been overshadowed by the gigantic Hunts Point terminal market and the distribution channels operated by the major supermarket chains. It is also overlooked by advocates of direct farm-to-consumer food retail. 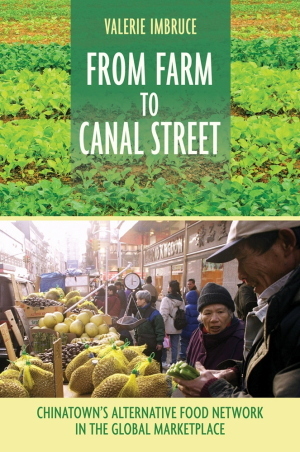 Valerie Imbruce’s From Farm to Canal Street unmasks this “alternative” food network, offering important lessons for policy­makers interested in increasing access to healthy, affordable, culturally appropriate food. . . .